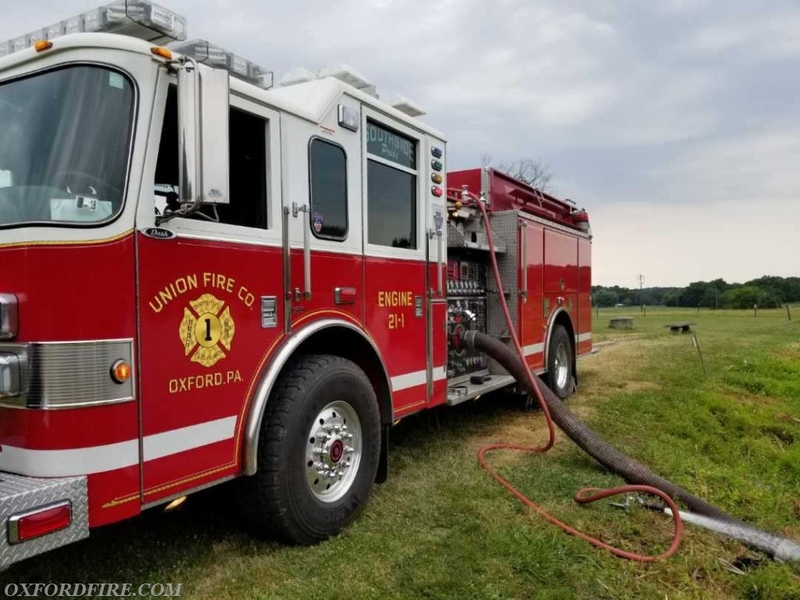 Last weekend, the Union Fire Company No. 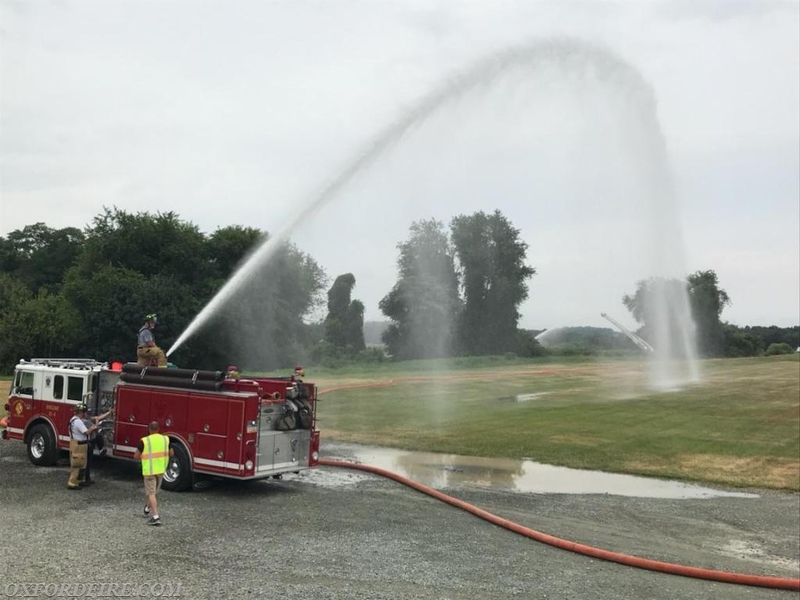 1 hosted the "Got Big Water" class presented by GBW Associates. 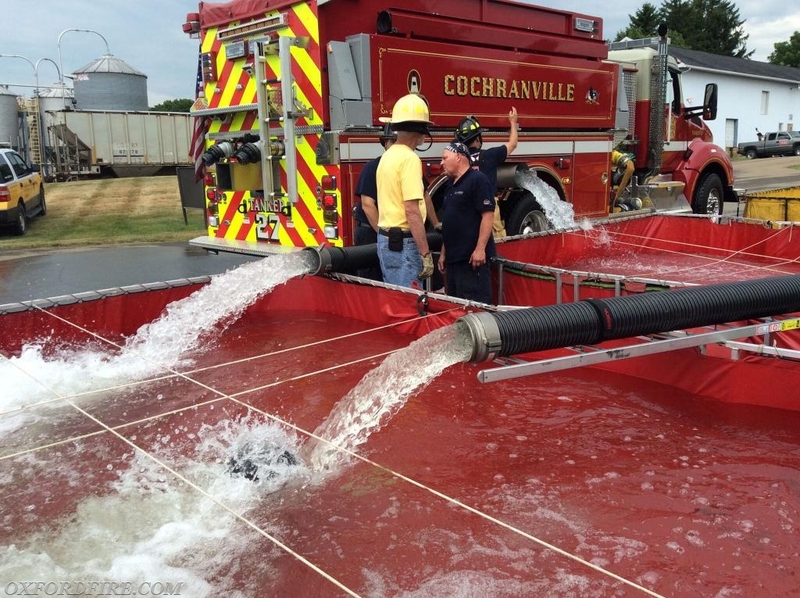 This class provided information on Operations and Procedures of Rural Water Supply. 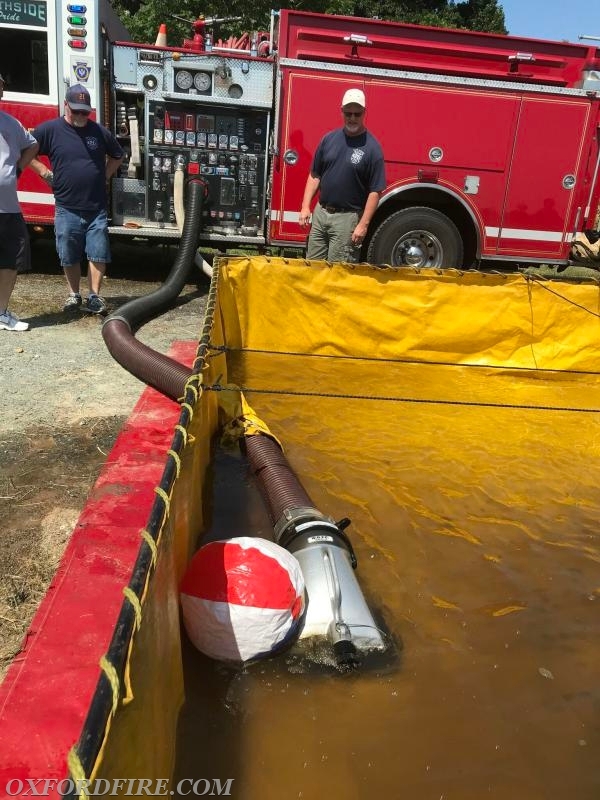 Attendees learned techniques of operating successful Draft Sites and Dump Sites in areas that are not protected by fire hydrants. 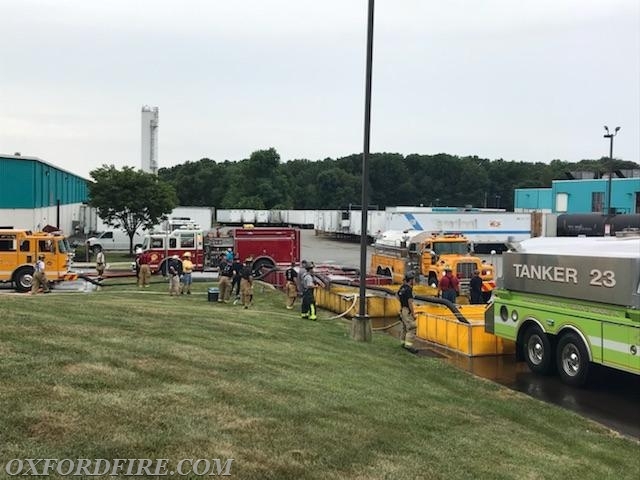 Along with our members, members from West Grove, Avondale, Kennett Square, Longwood, Po-Mar-Lin, Cochranville, Concordville, Hockessin, Quarryvlle, and a few companies from Eastern Shore, Maryland attended the two day class at Herr's Foods in Nottingham. 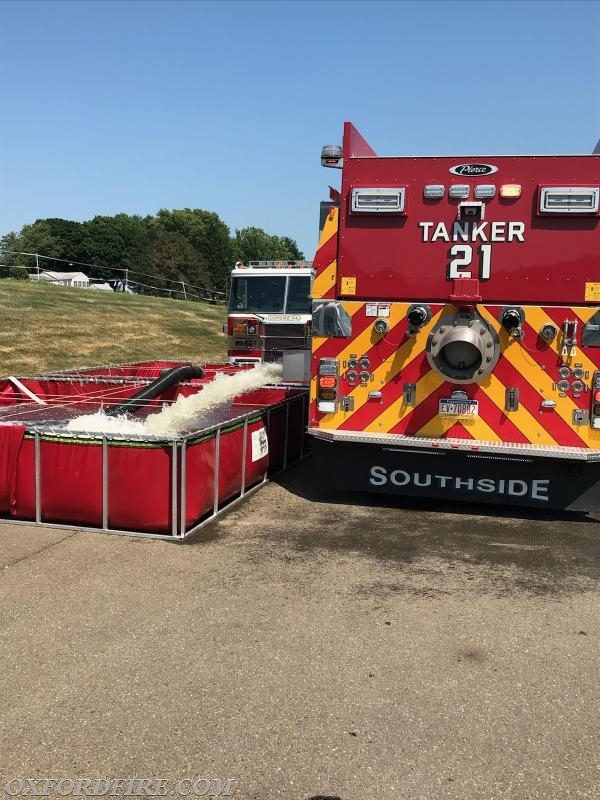 Saturday morning started with a classroom session that discussed various viable rural water sources, several different options for Dump Sites, and the various different makes and models of water hauling apparatus (Tankers). 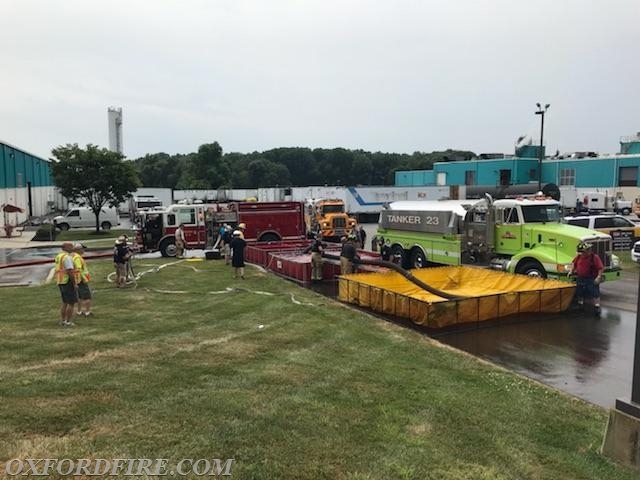 After lunch, the class split into two groups. 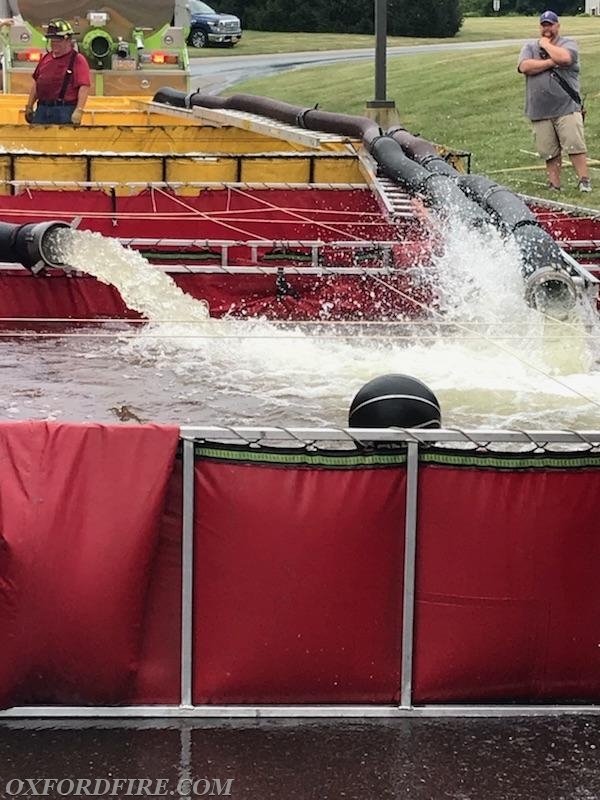 One group took a hands-on session with setting up a Draft Site and a Fill Site operation, while the second group set up a Dump Site operation. 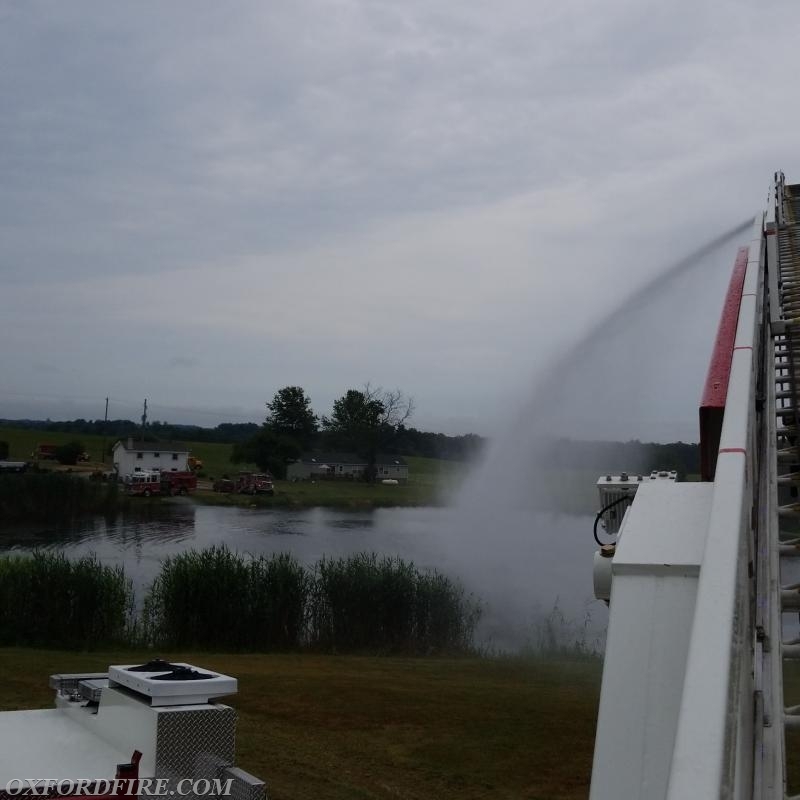 Sunday morning saw the groups switch to cover the opposite operation that they covered the day before. 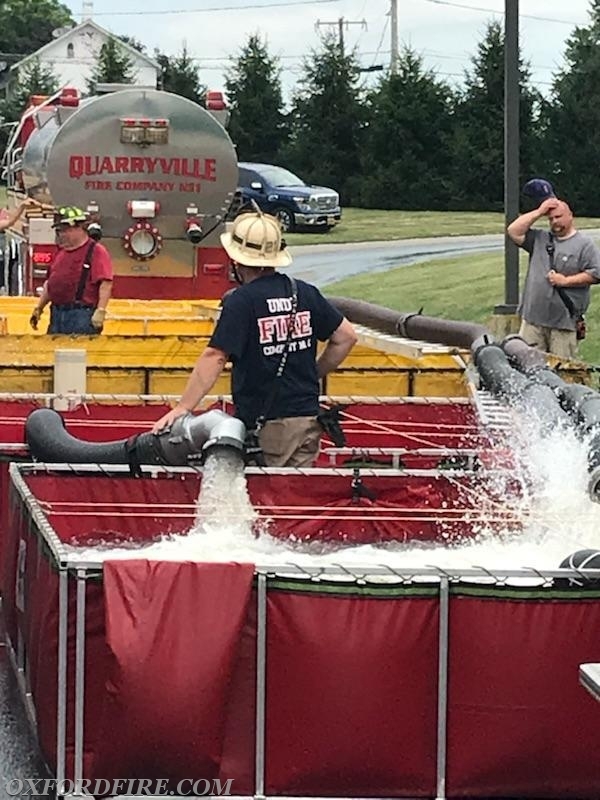 After lunch, a practical exercise was performed to determine our success at maintaining a continue flow at certain Gallons Per Minute (GPM). 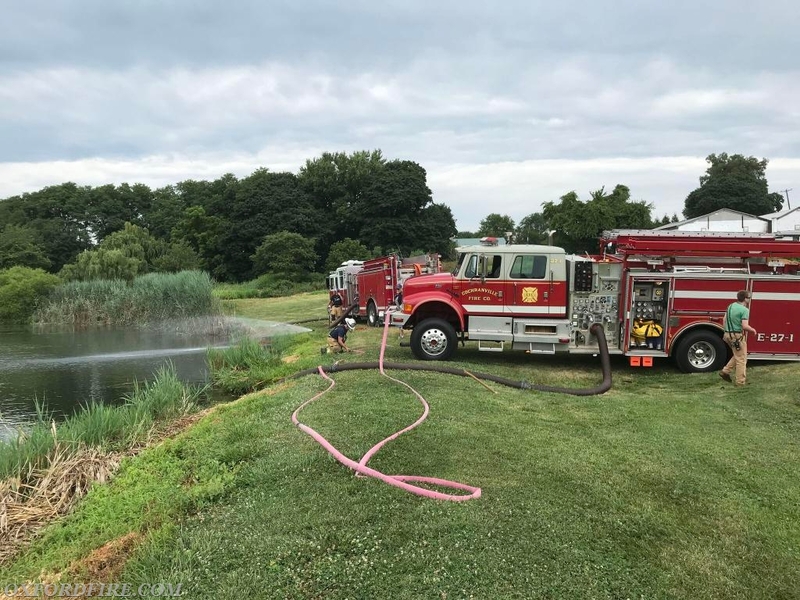 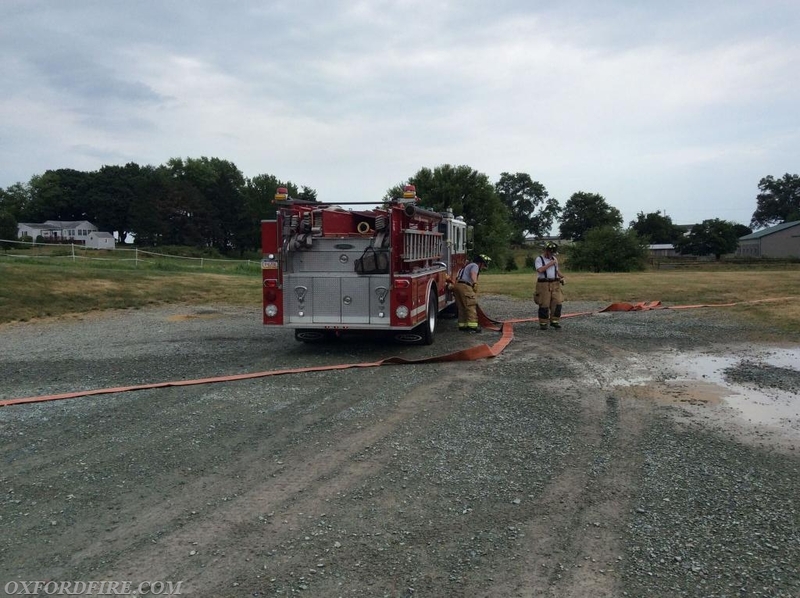 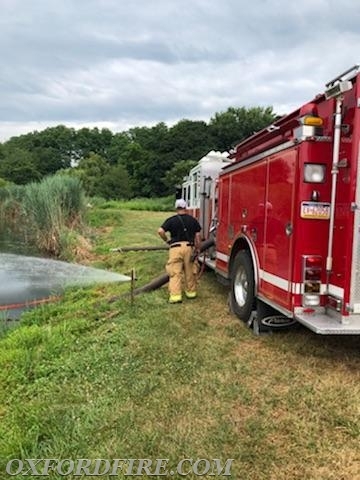 Engine 21-1 and Engine 27-1 established a Draft Site at Todd's Pond on Stoney Lane. 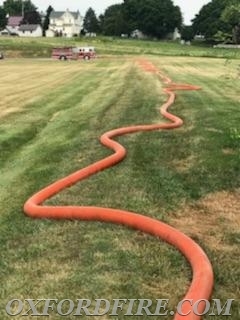 Dual 5" supply lines were laid out from the roadway to the pond. 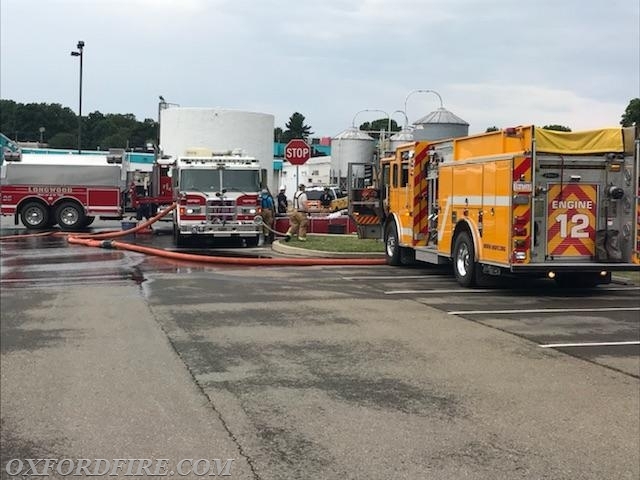 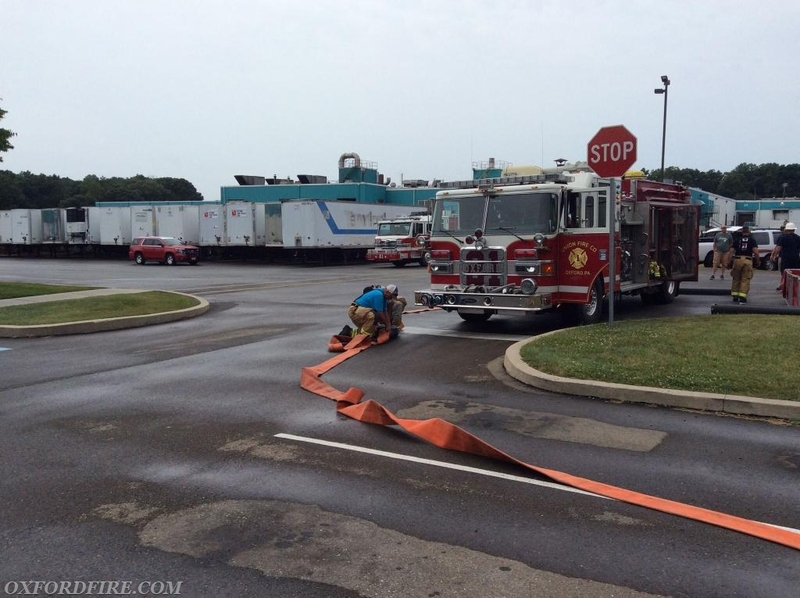 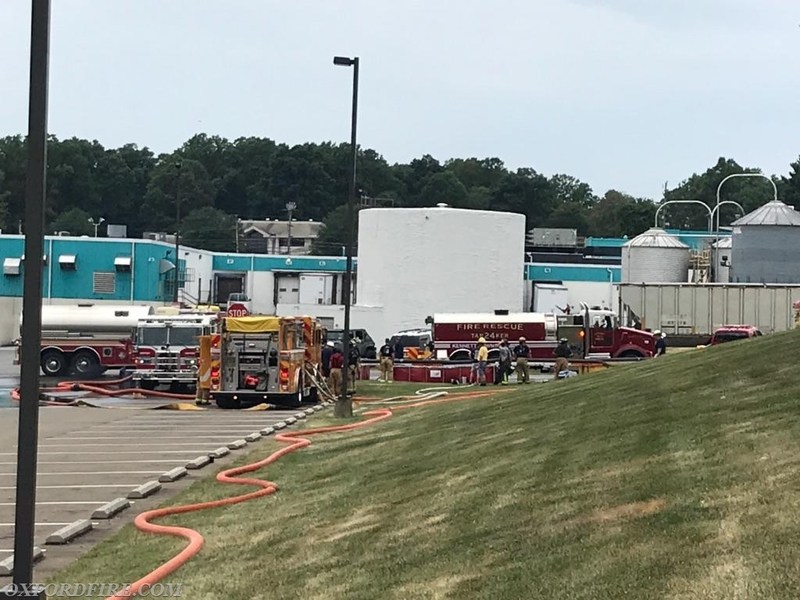 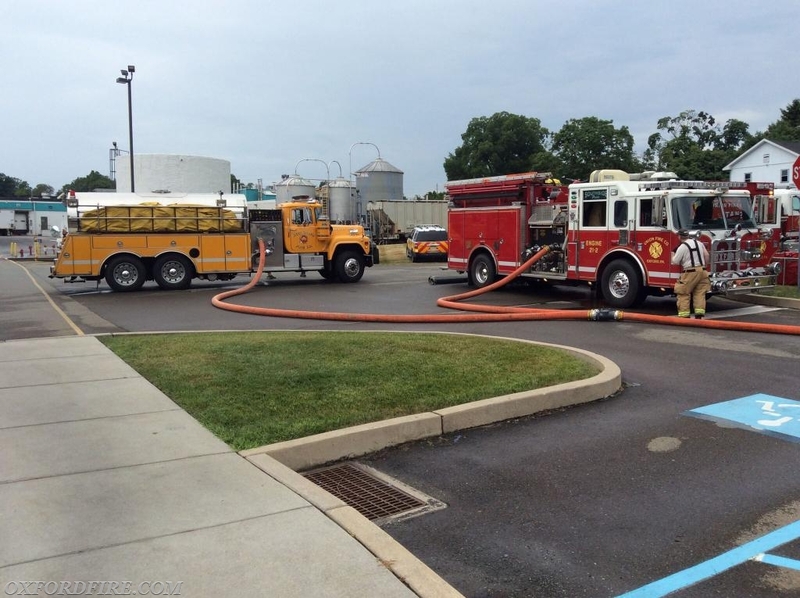 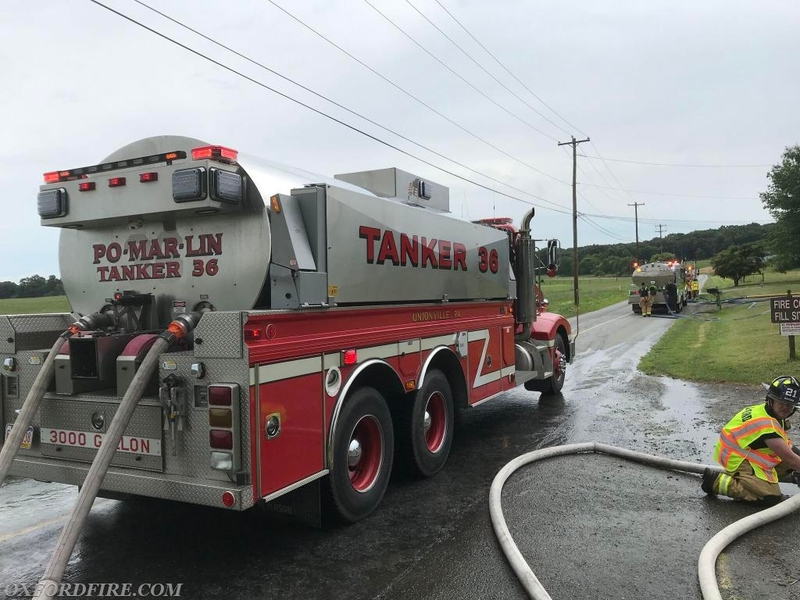 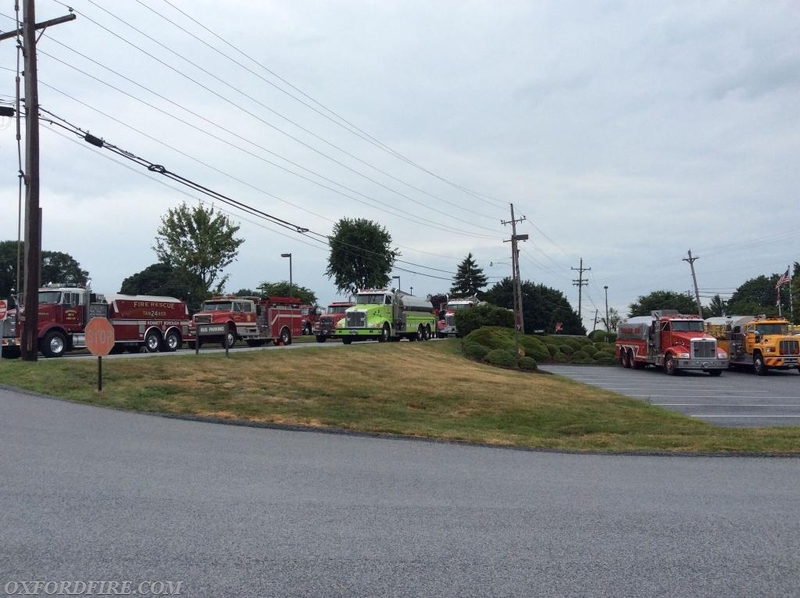 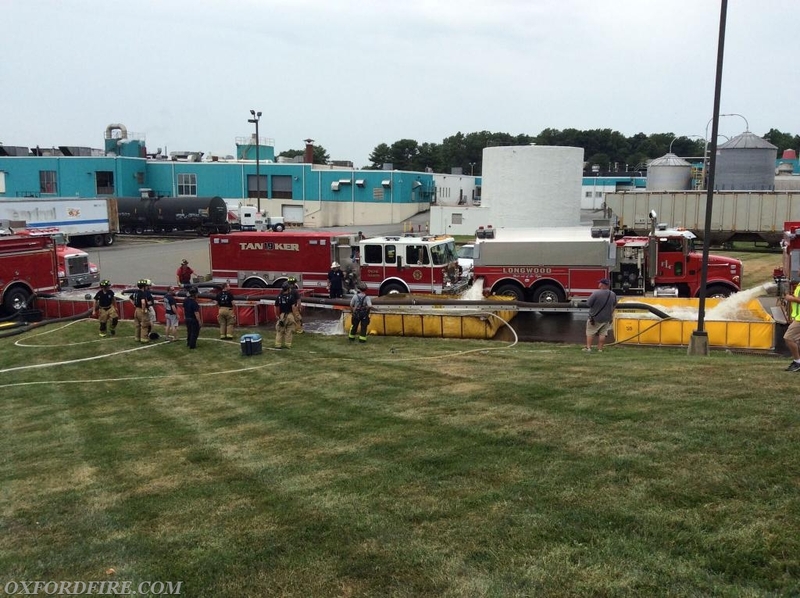 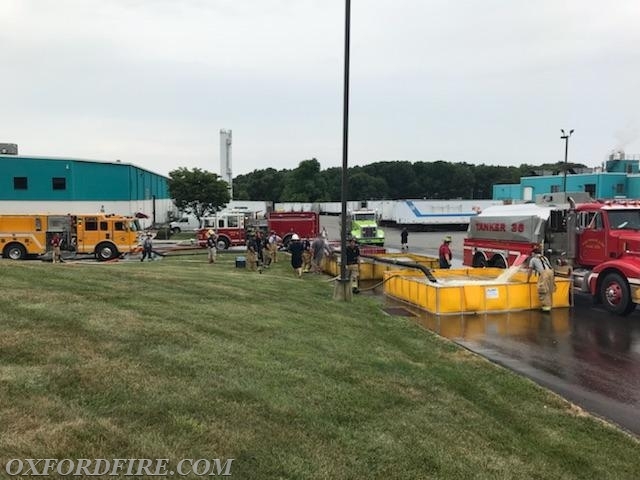 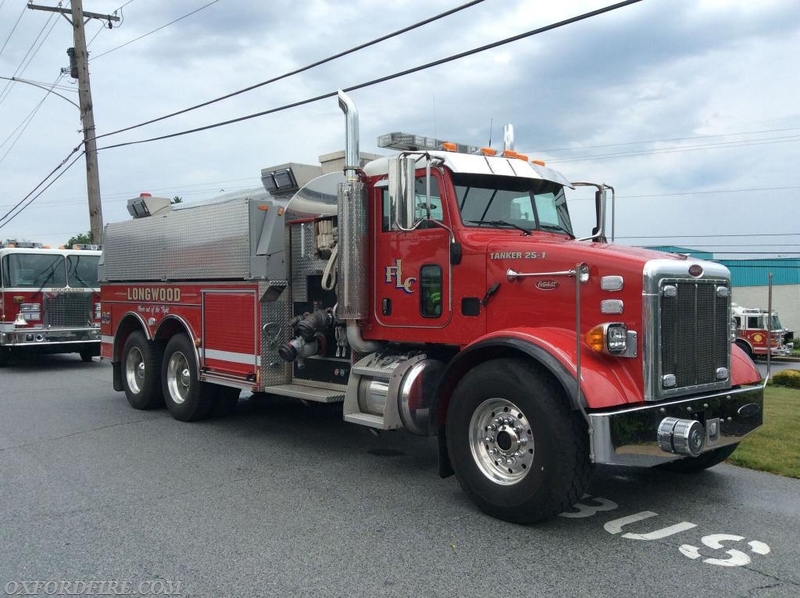 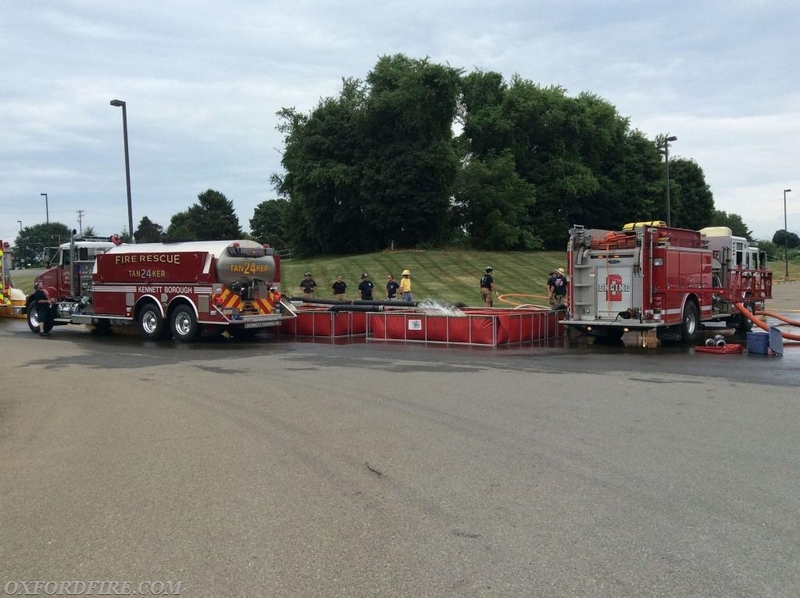 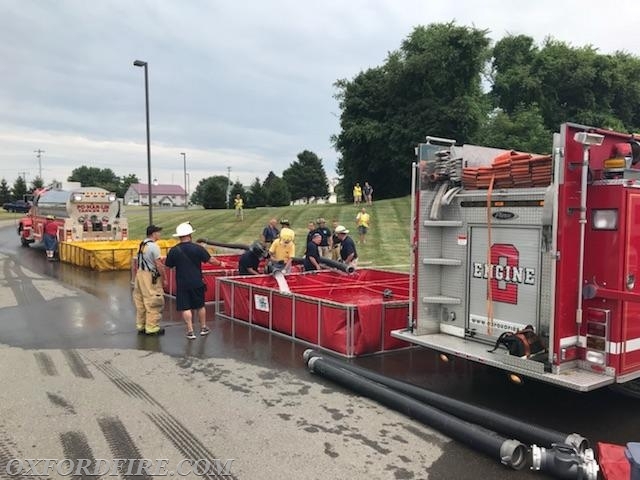 Engine 21-2 and Engine 22-2 established a Dump Site utilizing four (4) portable folding tanks in the parking lot of the Herr's Plant #2. 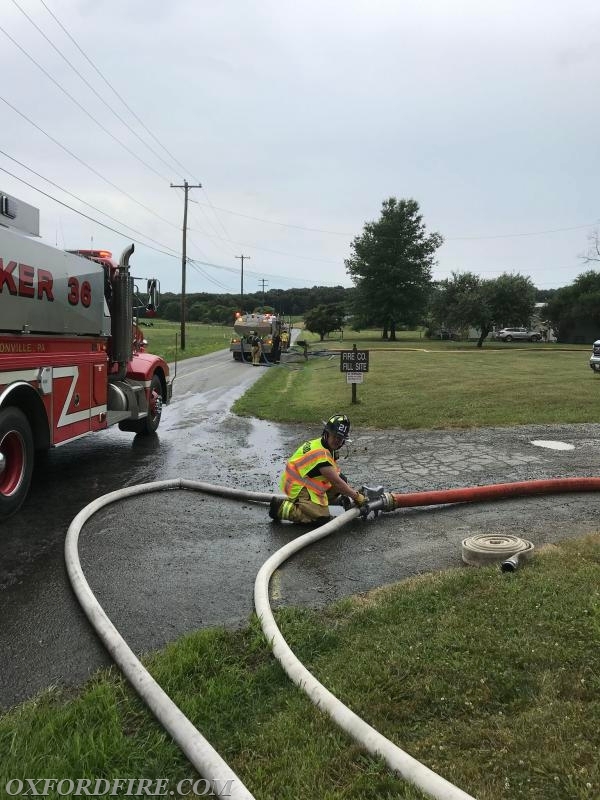 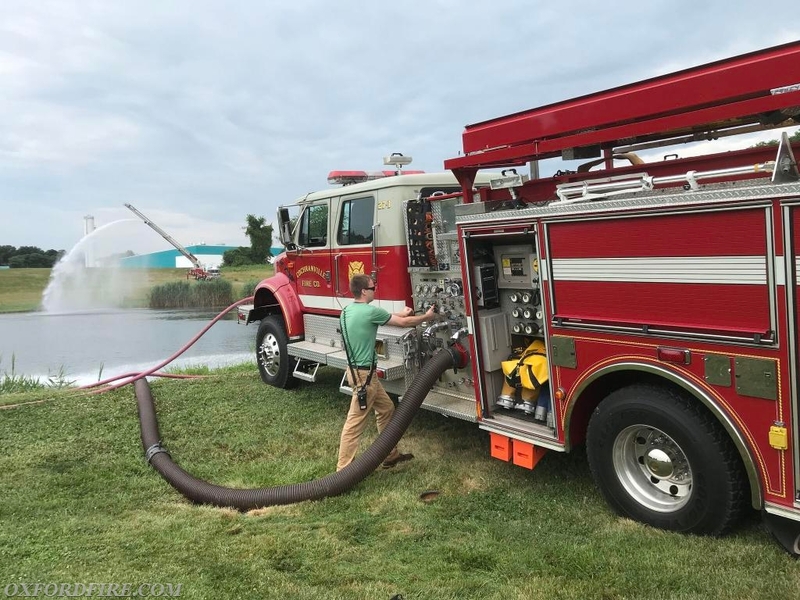 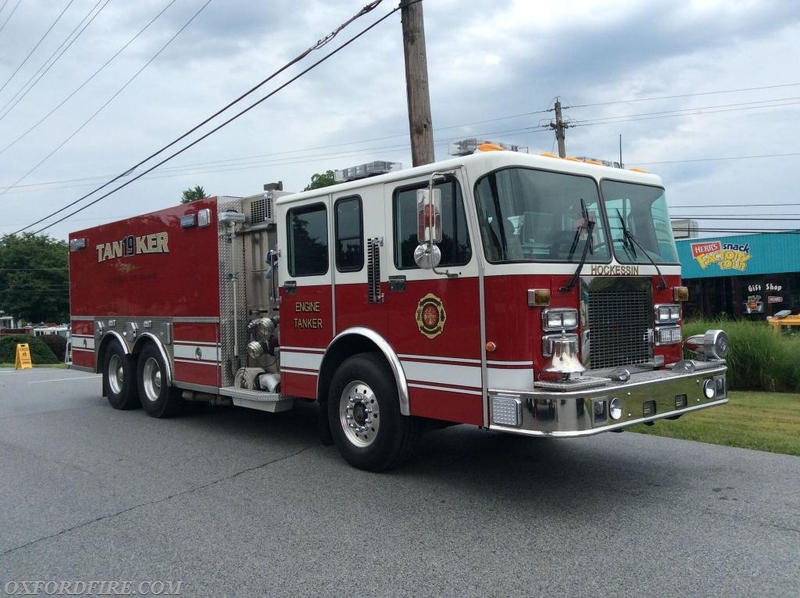 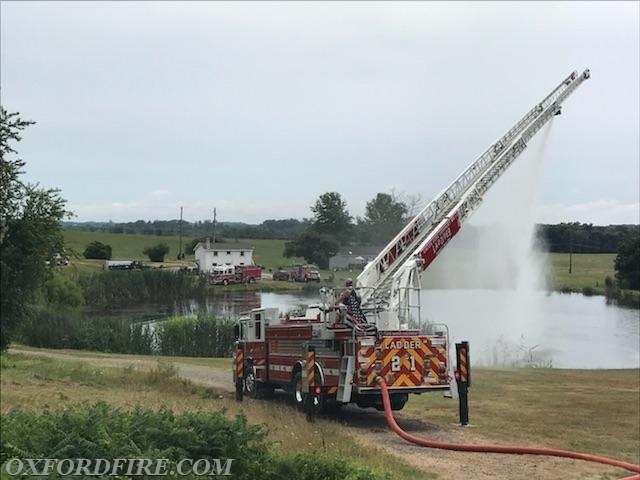 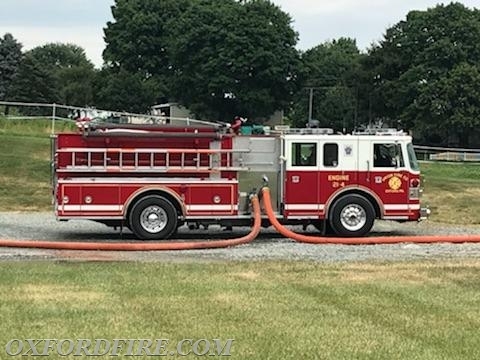 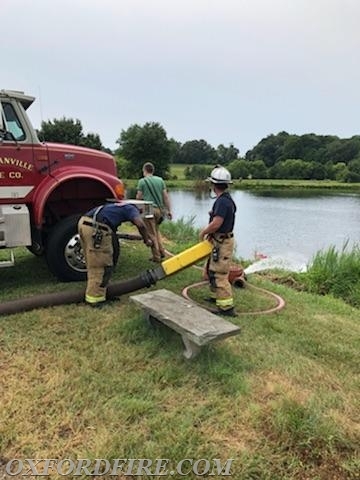 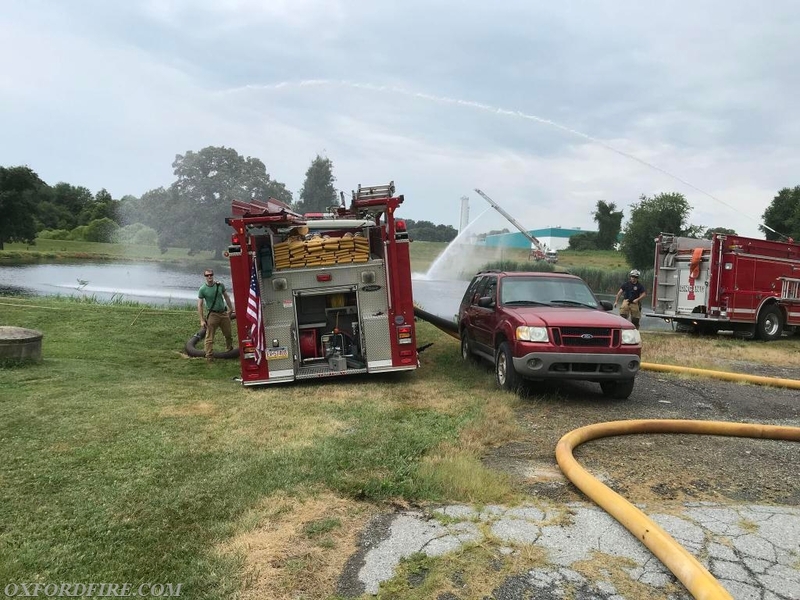 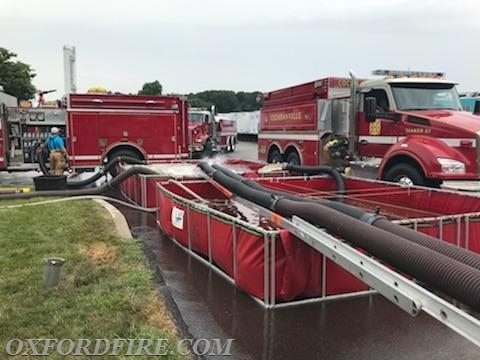 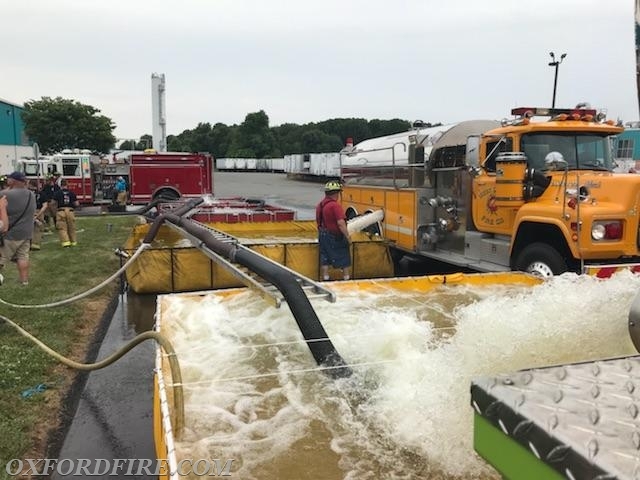 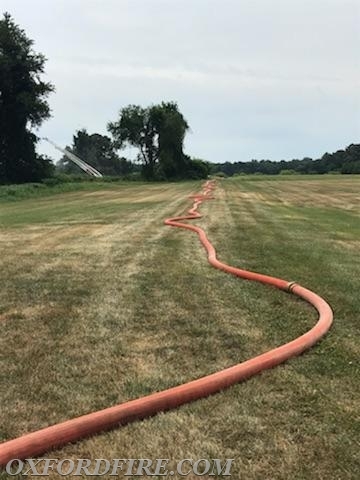 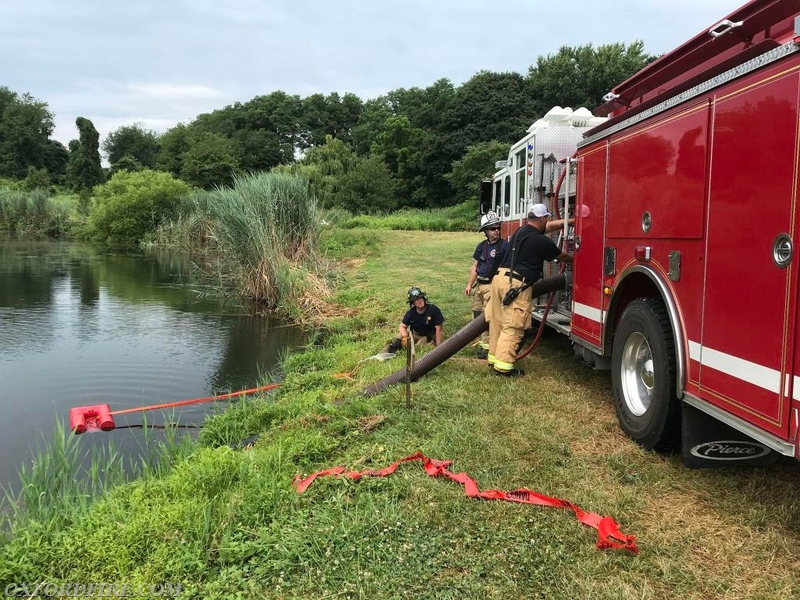 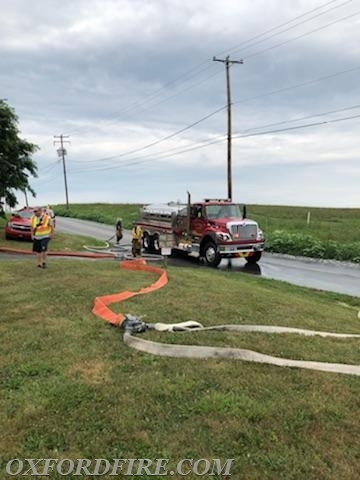 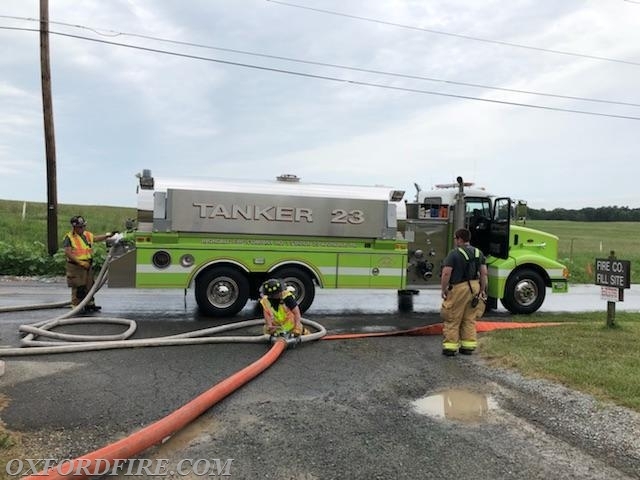 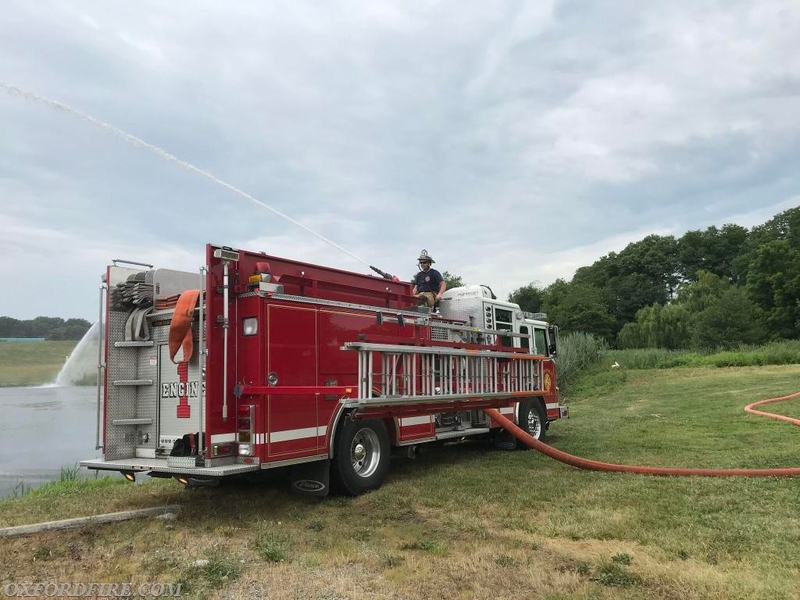 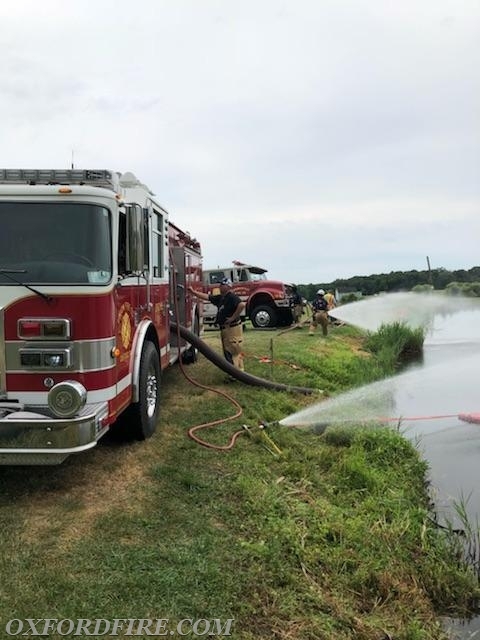 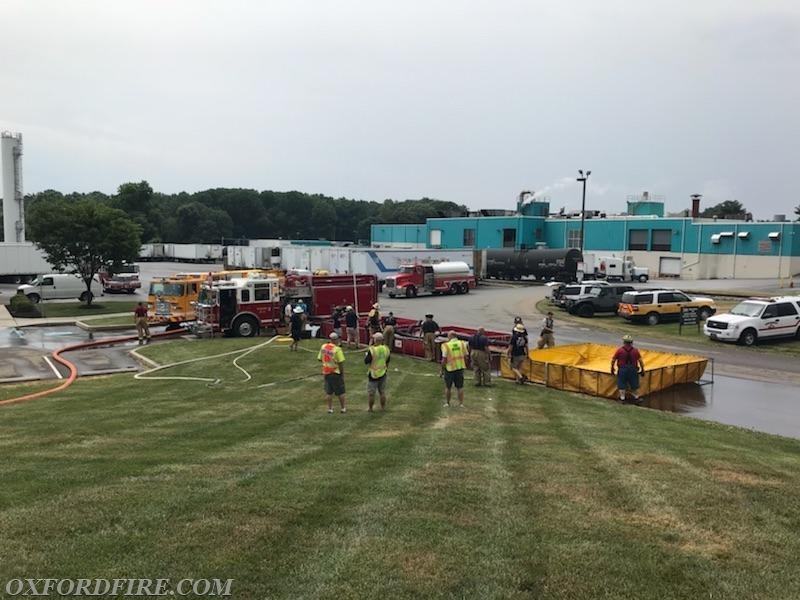 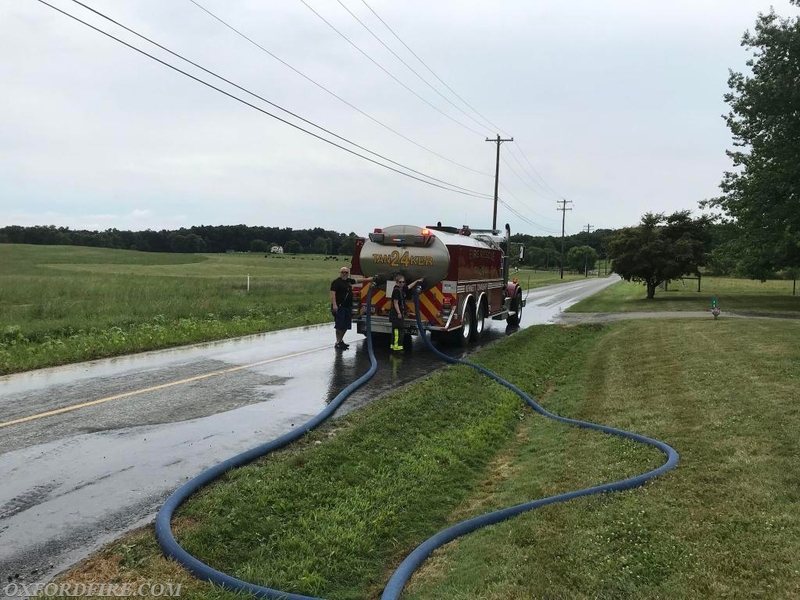 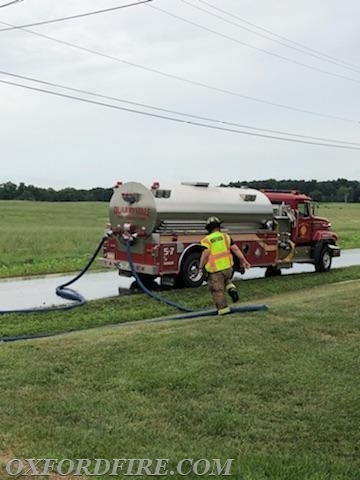 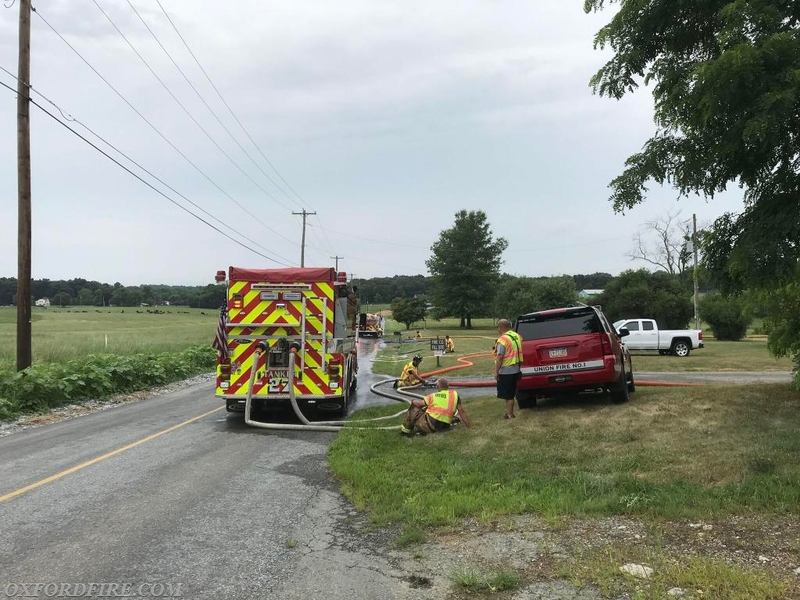 Engine 21-4 laid out a 5" supply line from the Dump Site to the east side of the Herr's facility and supplied an additional 5" supply line to Ladder 21 that was set up to flow water back into Todd's Pond. 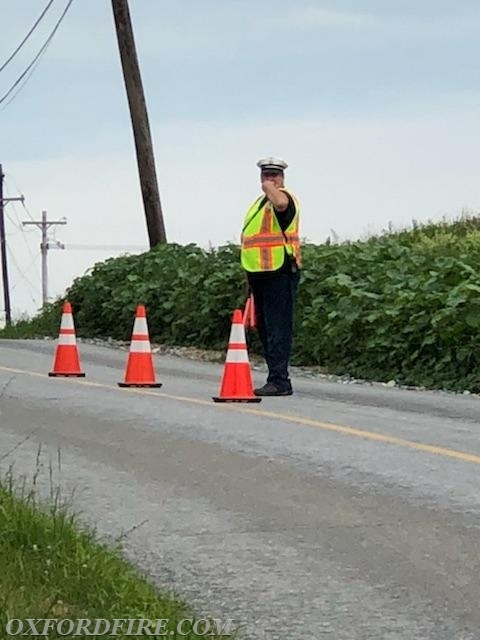 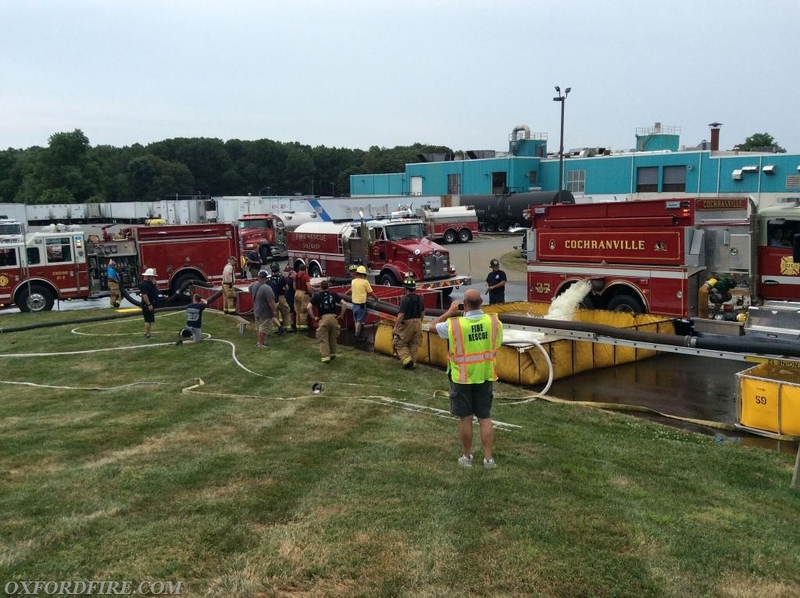 Tankers reported to the Dump Site and dumped their water into the folding tanks. 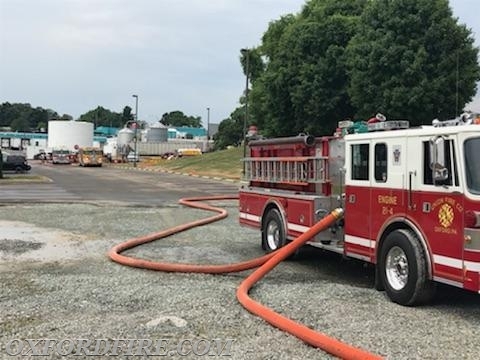 Once empty, they responded to the Fill Site on Stoney Lane to refill and then return to the Dump Site. 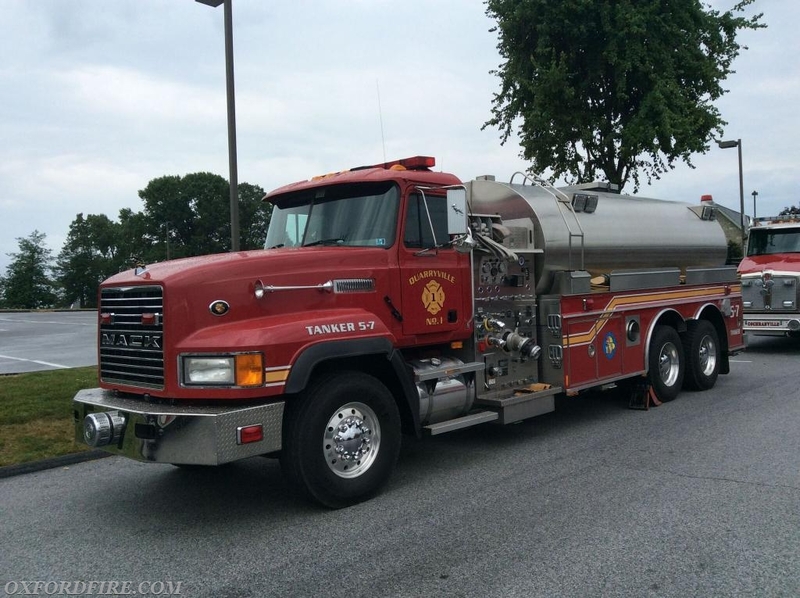 Each Tanker made approximately six round trips throughout the evolution. 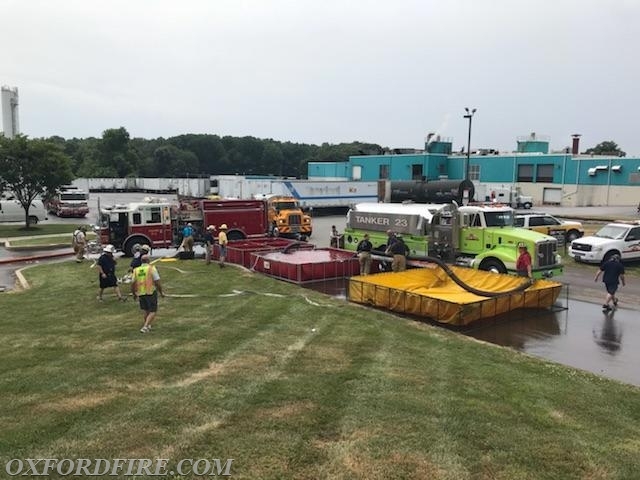 The evolution was timed, and all crews worked very hard and diligently. 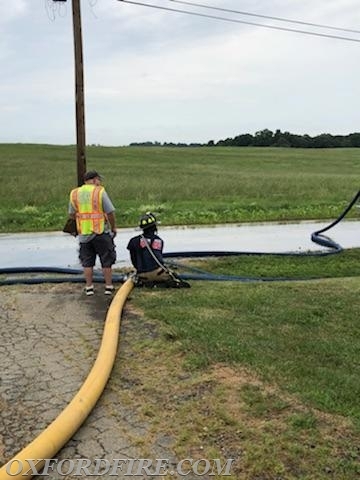 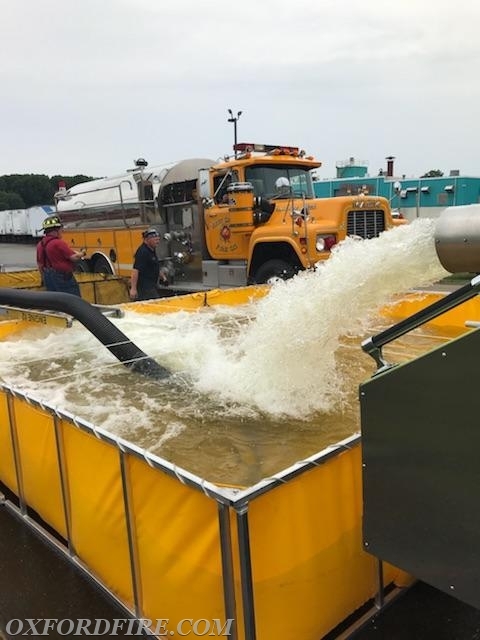 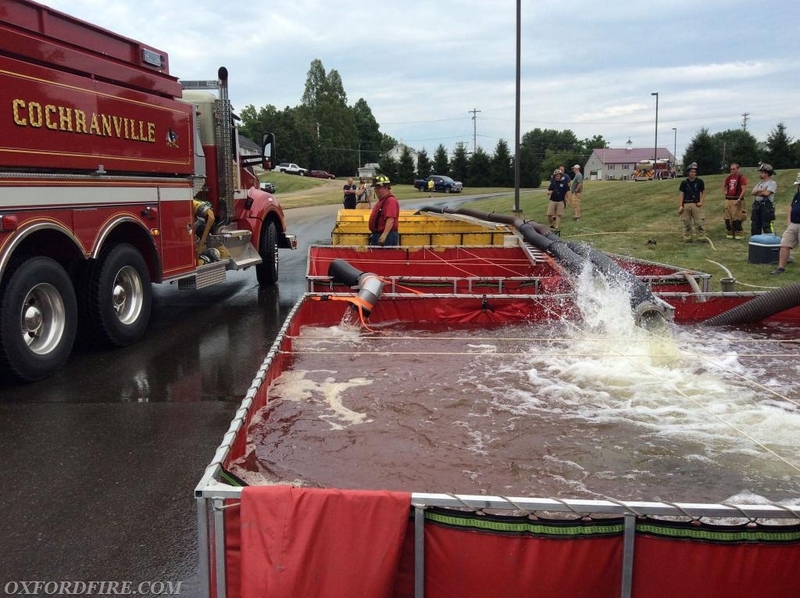 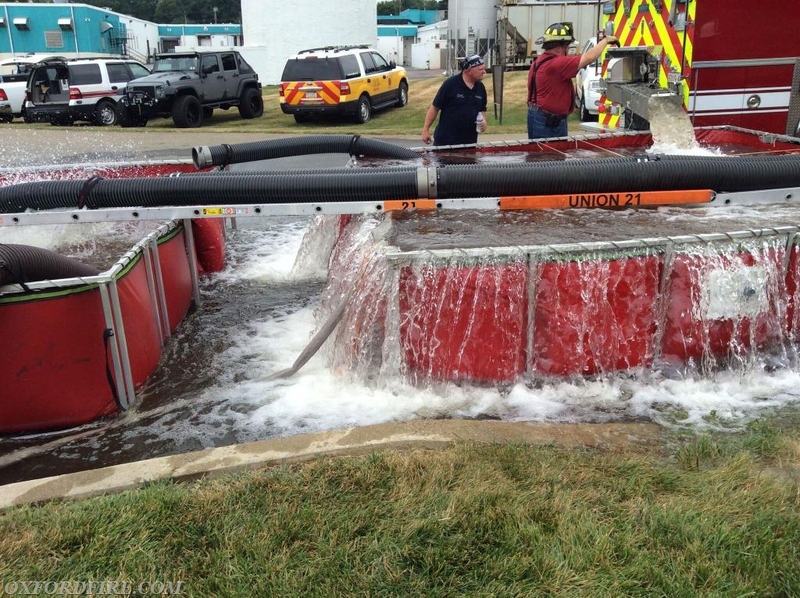 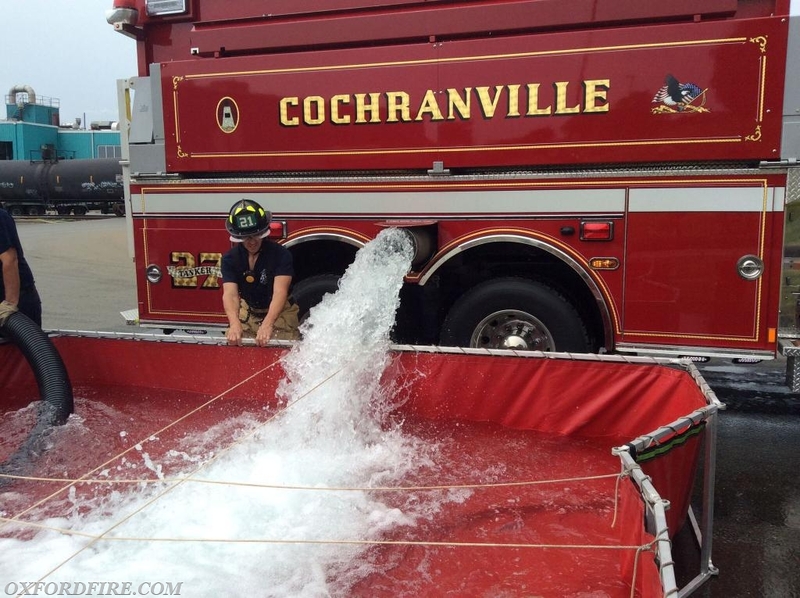 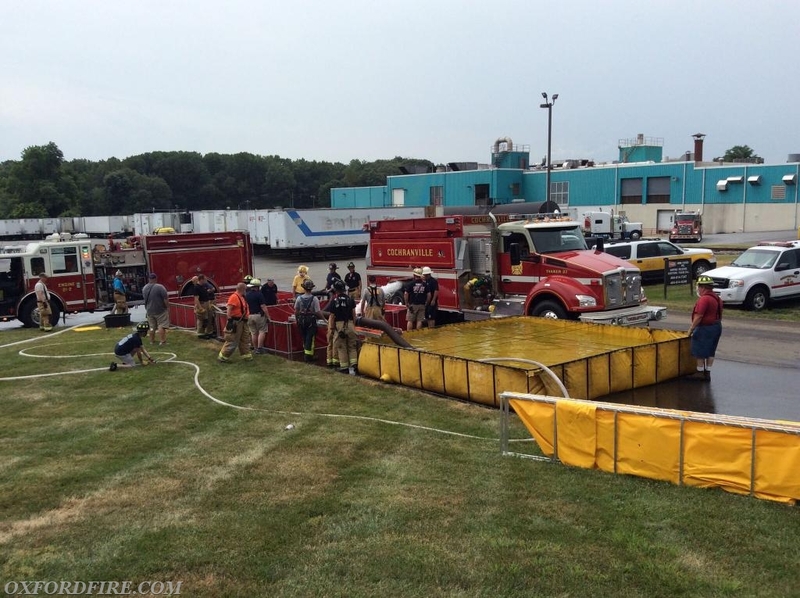 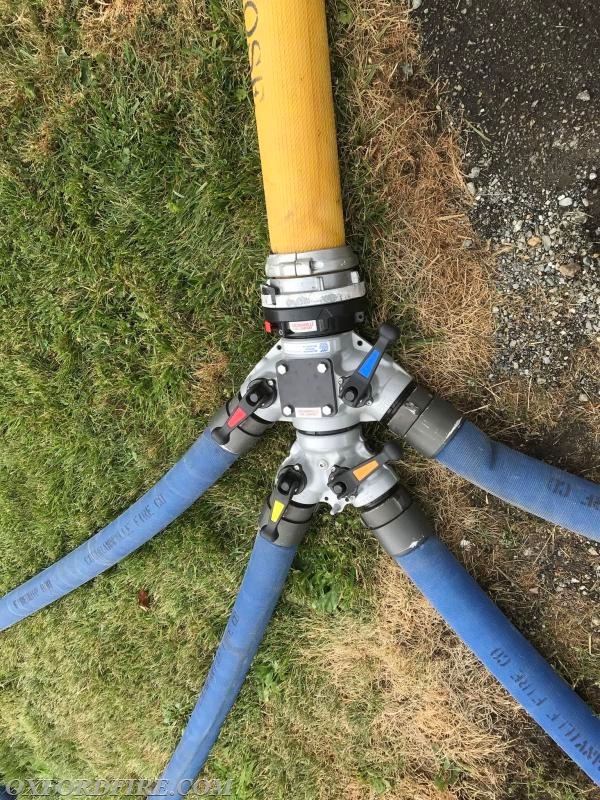 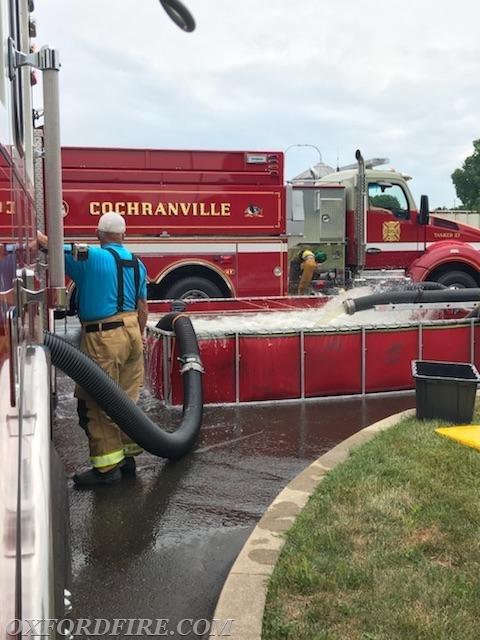 Through our efforts, we were able to successfully flow up to 1750 gpm for over two hours. 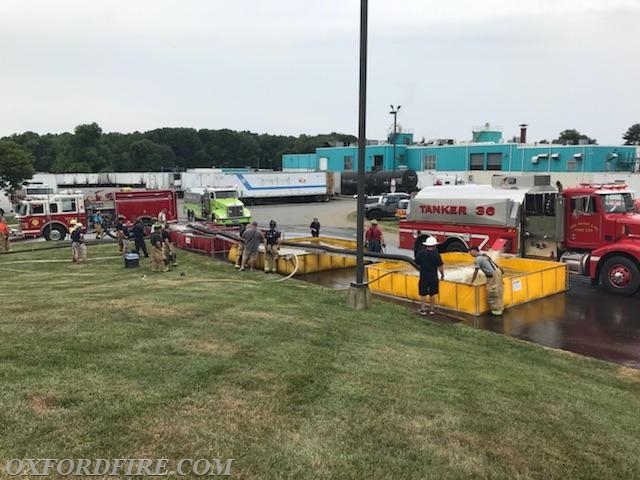 The Union Fire Company would like to THANK all of the mutual aid fire companies that attended and participated in the class, GBW Associates for teaching the class, Herr's Foods for allowing us to utilize their property and their auditorium for the weekend, the SawMill Grille for the lunches both days, and to the the West Whiteland Fire Company (Engine 6-2) and the Christiana Fire Company (Tanker 52) for covering our District for the weekend.